On Friday 22nd of June, just under 800 researchers gathered at the UCL Institute of Education to celebrate the 9th UCL Neuroscience Symposium. 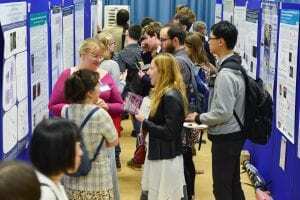 With two fantastic keynote speakers, six talks by UCL group leaders, and 129 posters spread across three sessions, the event was once again a big success that marked the culmination of another impressive year for the UCL Neuroscience Domain. Now in its 8th year, the UCL Neuroscience Symposium is the perfect occasion to catch up with the latest developments of our colleagues and establish new collaborations. Over 800 researchers and a gender-balanced line up of speakers gathered to share and discuss some of the exciting scientific breakthroughs that UCL has seen over the past year. The event kicked off with an unplanned outdoor networking session caused by a fire alarm, thankfully false. Professor Richard Morris of the University of Edinburgh, who shared the 2016 Brain Prize, then delivered a fantastic talk on ‘The synaptic plasticity and memory hypothesis’. Professor Ray Dolan, awardee of the 2017 Brain Prize, introduced the winners of the Jon Driver Prize. Established to honour the memory of the late Professor Jon Driver, former director of the Institute of Cognitive Neuroscience, this year’s prize was awarded to three outstanding young neuroscientists from UCL who took the stage to briefly present their work. 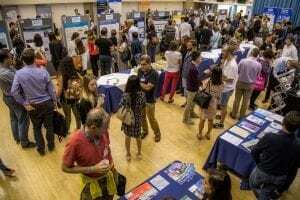 Next a poster session, with over 150 lab and research posters showcased in three different halls, allowed PhD students, post-docs and group leaders to present and discuss their research in an amiable atmosphere.